Scientists: Go Forth and Meet Your Congressmen! It’s the middle of August and political talk is swirling on the airwaves and in the paper. 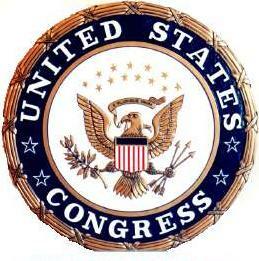 The White House is asking federal agencies to prepare budgets for 2013 that are 5 and 10 percent below the 2011 levels. Working on your grant proposal, you wonder what all the talk about deficit spending and budget cuts means for your chances of securing NIH or other federal funding compared to past years. As your elected leaders are home in their states and districts for the month of August, now is a great time to set up a meeting with Senators or Congressmen, or attend a town hall meeting they have organized –without leaving town—and let them know why federal funding for science is important. You can put a human, and local, face on those federal dollars for your elected official and/or his staff! If you are wondering why you would meet with them or what you would talk about—it is very simple. You want to let them know what you are working on and how you are using federal dollars right there in their districts and states to improve human health. You also want to let them know how many people work for you because of those federal dollars. Many elected leaders do not realize that the dollars that go to NIH and NSF, for example, are actually spent in all 50 states and make a difference to those local economies. The Society's webpage has easy to follow instructions on setting up meetings, what to expect, and what to say at http://www.biophysics.org/Policy/AdvocacyAction/tabid/443/Default.aspx. In addition, here are some facts and talking points you can use to talk to your elected leaders about NIH: NIH Fact Sheet: https://www.aamc.org/research/adhocgp/081011.pdf NIH Talking Points: https://www.aamc.org/research/adhocgp/0211talkingpoints.pdf If you need help setting up an appointment, or want help planning what you will talk about with your elected officials, contact Ellen Weiss at the Society Office: 240-290-5600. Also, consider signing the petition on NIH funding linked below. The petition urges Congress and the Administration not to cut life-saving funding for NIH, and has been signed by nearly 20,000 individuals and counting: http://www.ipetitions.com/petition/preservenihfunding/ . Today, April 25, is World Malaria Day. This infectious disease is caused by unicellular parasites from the genus Plasmodium and spread by mosquitos. It affects hundreds of millions of people from across the world. In recognition of World Malaria Day, we spoke with Virgilio L. Lew and BPS member Teresa Tiffert from University of Cambridge about their research relating to malaria.